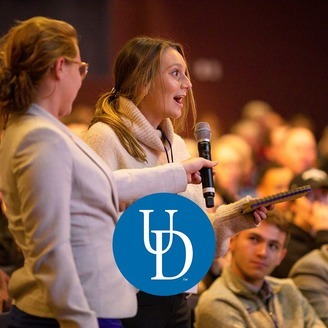 Message from CPC Director Nancy Karibjanian: Welcome to the University of Delaware’s Center for Political Communication, a place where academic research fosters public engagement and relevant political issues top the agenda. So much has evolved since the 2008 election when UD alumni dominated the national political landscape. Without question, the contentious 2016 election launched a new era of political communication. Understanding the underlying issues fueling this change is at the core of the Center for Political Communication’s mission. Through research and public engagement, the CPC examines the effect of political discourse, social issues, technology, and policy on political communication. Whether it is a late-night talk show monologue, or a grassroots effort to galvanize support for science, the CPC and its affiliated faculty stand firmly at the epicenter of politics, examining the intersection of communication methods and influence. This is especially true with our annual National Agenda program. This fall 2018, we focus on all things related to the midterm elections. For the "Midterm Matters" speaker series, nationally known guest speakers examine how campaign strategy, news coverage, polling, and election cybersecurity affect midterm elections and why civic engagement is important. The CPC also turns the mic toward the students themselves with the Voices Matter Audio Essay contest. 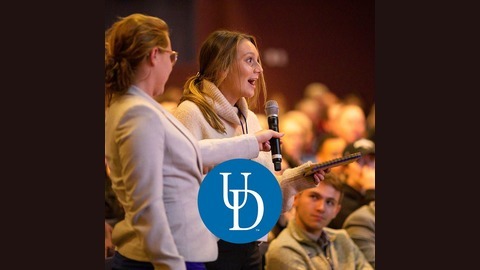 I encourage you to take a few moments to explore the CPC website (www.cpc.udel.edu) and learn more about how the CPC tackles difficult topics while connecting with the students and the community.